“Take care of your gear, and your gear will take care of you” is one of Danger Ranger Bear’s basic rules for the outdoors. The proper care, use and maintenance of your outdoor equipment will not only extend its life and provide you with more use and enjoyment, it also means your gear will be working for you when you need it most. There are obvious examples of gear that your life literally depends on such as climbing equipment, but many items we take for granted such as sleeping bags, clothing and even your flashlight need to perform when the going gets rough. To get the most out of your gear, an adventurer needs to take the necessary time to inspect their gear before and after each use and then properly clean and store items afterward. Sometimes this can be hard to do, especially after a trip when you may be tired and just want to dump everything in a corner of the garage until “later”. However, the time and attention to detail will payoff when you are ready to use it again and need everything to be in good working order. We have compiled a list of common pieces of gear and tips to extend their life and maintain performance. Probably the biggest foe of your performance clothing is fabric softeners; both liquid and sheets. Fabric softeners negatively effect materials by clogging the fabric with residues that ultimately reduce the insulating, breathability and water repellency. Regular washing is fine and there are gentle detergents made specifically for performance materials that wash away cleanly. If you are using standard detergents a second rinse may be required to make sure that all soap is removed. It’s a good idea to wash your garments with the main zips closed and the pockets open to allow the wash to do it’s job without overly stressing the piece. Clothing with a Durable Water Repellent coating (DWR) require a periodic tune up. You’ll know its time when water doesn’t bead on the surface like it used to when your garment was new. This usually happens in areas that get higher wear such as the top of the shoulders due to pack straps.There are several brands of sprays such as Granger’s that can be used to refresh the water repellency. Simply wash, apply a spray and then dry on a low setting. Following the manufacturer’s washing and care instructions will increase the longevity of your garments, keep them functioning and you warm and dry for years to come. Don’t forget those zippers, if you have any zippers that don’t glide easily you can use a graphite pencil if it’s not too bad. Otherwise there are a variety of wax, silicone and teflon based zipper lubricants available online or at outdoor stores. We already know that a dull knife is dangerous, but your knife and tools should also be cleaned and oiled periodically. I like to use a q-tip to clean away pocket fuzz or grime from pivots and hinges a well as inside the handles of folders. After cleaning, apply a small amount of oil on areas that move and a thin layer on metal surfaces. Wipe off the excess with a clean cloth to prevent rust. WD-40 works fine for this. If your knife comes into contact with salt water, rinse it with warm water as soon as possible, dry it and then apply the oil. Dust, fingerprints and oils should always be cleaned from lenses as soon as possible. This will not only to provide a clearer view or sharper camera shot, but prevents damage. The grease from fingerprints can cause damage to optical coatings. Chemicals such as those found in sunscreen can even melt the polycarbonate lenses in sunglasses. You should never clean your optics with your shirt or other cotton cloth. Though it may feel soft, the material can actually leave scratches or wear surface coatings. Always use a micro-fiber cloth specifically made for the cleaning of your lenses. Make sure to blow away dust or grit before wiping to make sure you aren’t grinding more abrasive material into the glass. Use cases and storage bags whenever possible to maintain cleanliness. Usually all your bag needs after a camping trip is to be aired out for a day and then put away in it’s storage sack. Over washing your sleeping bag can reduce the loft and effectiveness of your bag meaning chilly nights in what otherwise should be a warm bag. By all means when you bag is too dirty and smelly wash it! Much like your fleece, wash your sleeping bag using gentle detergents or those made specifically for the task. Make sure it is rinsed thoroughly and then air dry if possible. When you aren’t using your sleeping bag it should be stored in a large breathable bag, not the stuff sack. Leaving your sleeping bag in the stuff sack negatively effects the fill and eventually the performance. You should inspect you bag for rips and leaking fill and then have it repaired or sew it yourself. Packaged food, medicine, insect repellent and even sunscreen have a shelf life. Check these dates before heading out and discard expired items. Expired products can be less effective or dangerous if used after the manufacturer’s date. With the change of seasons the water temperature is going to take a dip. Fall is a good time to strip off all off all the warm water wax accumulated on your board over summer and give it a new coat of cool/ cold temperature wax for the upcoming winter season. Stripping off all your wax also gives you a chance to inspect the deck of your board for any open cracks or dings you may have without knowing it. Look for any discoloration of the foam as a sign of water intrusion. Also checkoff cracks around leash plugs and fins system boxes. When strip a board I lay it in the sun for just a few minutes to let the wax soften up. Then using a wax comb scrape off all the old, dirty wax. When I’m done I use a citrus oil based wax remover and a paper towel to get off any last remaining residue. If you don’t have a wax comb handy an old credit card or plastic putty knife will work too. 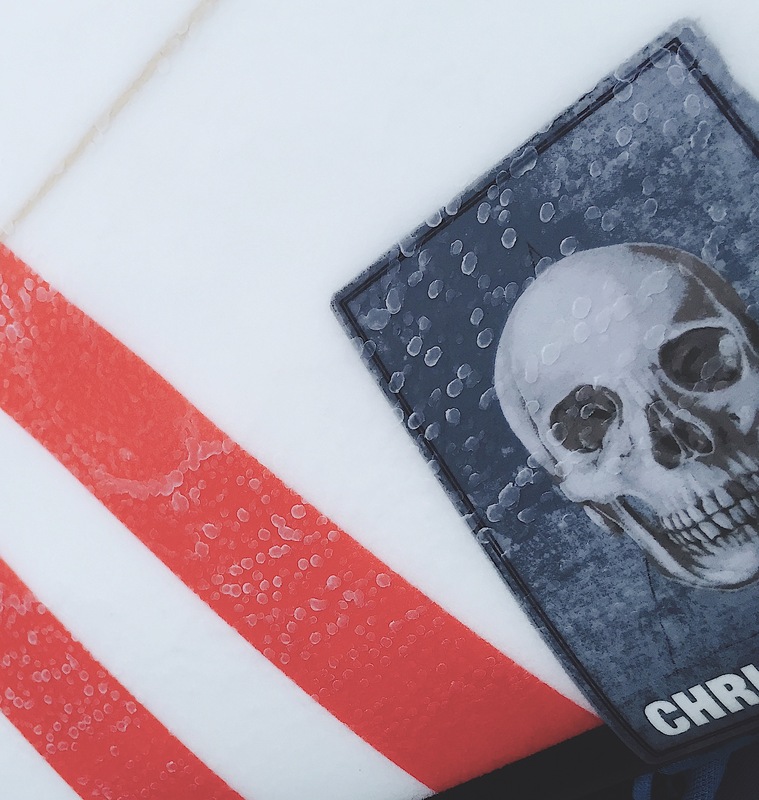 Now that you are ready to re-wax your board pick the appropriate formula for the water temperatures you will be surfing in. I like to first put down a layer of base coat which provides harder and better beads for improved traction. You’ll also only need a light coat of cool or cold wax on top. If you can’t find base coat you can just use tropical formula to lay down that first firm coat. Finally, replace your leash string. It’s a little thing, but it can save you a long swim and your board potentially getting smashed on some rocks. I use parachute cord tied with a figure- 8 knot. Leave some tail so the knot can cinch down after first using it and make sure the loop end short of your boards rail or it could pull through your board under heavy pressure. Wetsuits are better than ever these days; way more stretch and warmth in a lighter package. The trade off for lighter and faster is usually durability, but with simple care your suit will perform well for several years. Whether it’s a dive or surfing suit you should always rinse it in cold water after each use and hang it in a shady place. Use a wetsuit shampoo/ cleaner on a regular basis. It will keep it from smelling bad and will keep the neoprene supple and retain heat better. Always hang your suit with a plastic or wooden hanger that won’t rust. Hang it like you would a pair of pants through the hanger, not like a jacket. Hanging it from the inside will place stress on the shoulders of your suit due to its own weight and will eventually stretch it out causing cracking and water intrusion- you’ll know it when you feel it! More and more from GPS to lights and headlamps, you need batteries for your trip. For items I don’t use often I take the batteries out, just in case they leak. Otherwise, I replace them once a year or as needed before use. You should always have spares with you- the few extra ounces may literally be a life saver if you become lost or need to signal at night. If your device has internal batteries or you are using rechargeable batteries make sure you give them a full cycle to drain and recharge for best performance. Without a doubt sand is the enemy of your climbing equipment. Sand can get into carabiners making the gates stick, and work its way into the locks. Most debris can be blown out or you may use a weak soap solution to rinse out your carabiner, and then properly dry it. This is mandatory if you have come into contact with salt water. If it continues to not function properly it should be discarded. Any ‘biners that have been dropped a significant distance or those with outward signs of damage such as cracking, missing rivets, burrs or bending should be thrown away. The reason for discarding damaged carabiners is to ensure that they aren’t mistakenly used and thus creating a hazardous situation when climbing. Rope should always be placed on a tarp and never be stepped on because it can cause grains of sand to penetrate the sheath.The jagged edges of the sand grains can cut the internal strands and weaken the rope. Dirty rope should be cleaned using a rope cleaning device and then hung to dry in shade. You should inspect every inch of your rope both visually and feeling with your hands to identify areas of abrasions, soft spots or cuts. Rope that shows any sign of excessive wear or has been shock loaded should be cut up immediately so it cannot be used again for climbing. You never know when you might get an invitation to a quick trip to Mexico for some surfing and fishing- Is your passport and insurance information up to date? It’s also a good idea to make photocopies of all of your important travel documents as well as have a few emergencies numbers written down ready when traveling abroad. ****WARNING*****ALWAYS follow all manufacturer’s guidelines for when and why to periodically retire your rope and carabiners. Your life depends on these tools and they should be used properly and maintained to be in peak condition.